Our soft toy farm animals are gifts with a moo-ing obvious difference! Not only are they made of high quality plush fabric, making them a luxury present in their own right, but with a Message Medal carrying your personal message these farmyard soft toys provide a huge number of excuses to send the ultimate witty caption! Shut the door, this horse is about to bolt! 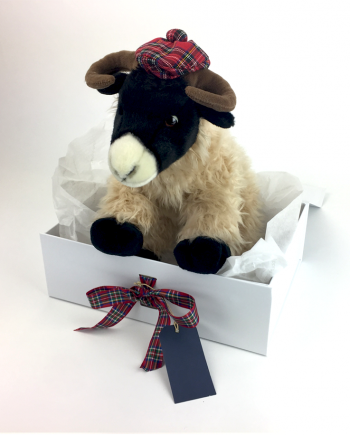 You might want to send our Handmade Highland Cow to say “I hope moo are feeling better”, or our Lilipudlian Duck to say “I’m quackers about you!”, or even a Nutbrown Rabbit to say “Hoppy Birthday” to someone! See our Message Medal Ideas with each product for more suggestions! Finding a farm animals gifts couldn’t be easier – just choose the toy you want and follow the on-screen instructions. You can even add a bar of chocolate for an extra special treat!